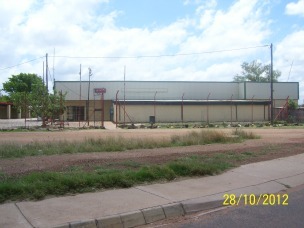 Majaneng Supermarket is existing business located in the heart place Majaneng, Temba. The store is an upscale grocery wholesale and retail with a Bakery, Butchery, Takeaway and place for a Liquor Store which is authentic, hard to find the place in the specific area. The business include a double storey building in the same stand which have one strong room with cash office room, one big warehouse, one flat and 10 servant quarters with two shops, three garages, public restrooms, a security guard room at the entrance point and five cold rooms. The mission of Majaneng super Market is to provide the residents, visitors and suburbs with sa combination of quality, authentic, hard to find, grocery items and prepared foods, with good service and a pleasant atmosphere. Our store motto is, "shop with low priced and best quality with joy of savings."